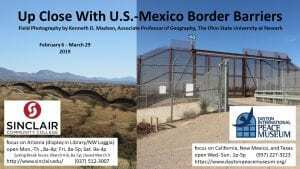 The Sinclair exhibit will be taken down on March 29th as scheduled, but the photographs at the Dayton International Peace Museum are extended through Sunday, April 14th. 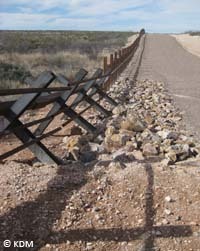 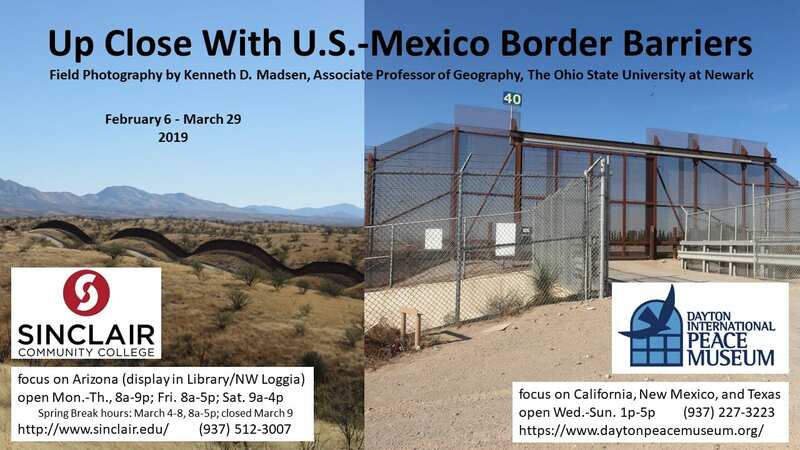 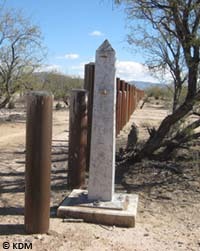 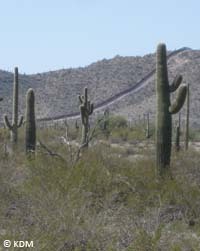 My research focuses on border barriers (walls/fences) and the impact of border law enforcement activities on Arizona border communities, especially the Tohono O’odham Nation (Indian reservation). 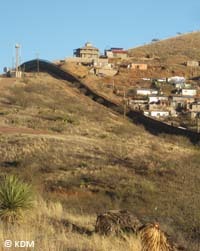 I am also interested in dynamics of indigenous-academic interactions and insights from fiction on geographic processes.